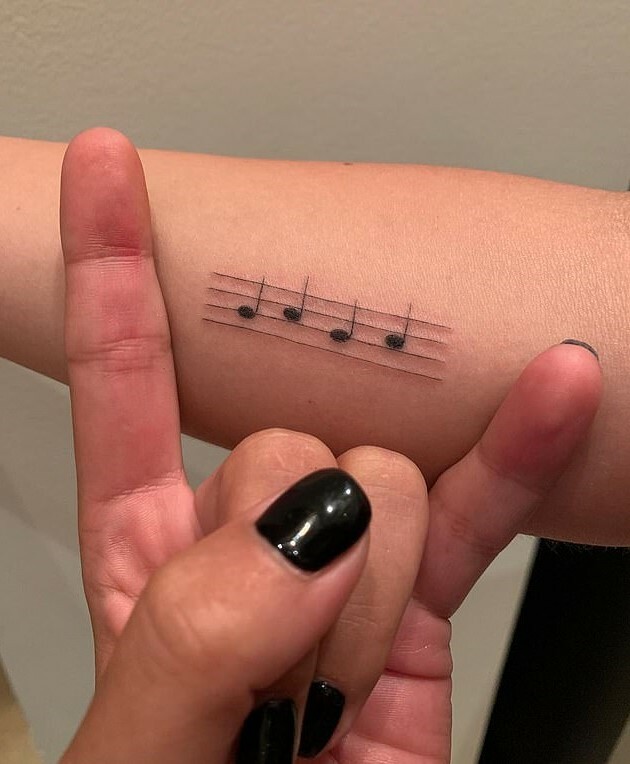 Lady Gaga has taken to Instagram to share the results of two new, music-inspired tattoos, one more successful than the other. Following the widespread acclaim of last year’s A Star Is Born, for which Gaga has been Oscar-nominated, the musician turned actor decided to commemorate the film with a giant tattoo on her back. In the film, Ally – played by Gaga – sings La Vie En Rose, a song first made famous by Edith Piaf in 1946. It’s a key scene in the film, as it presents the moment Bradley Cooper’s character, Jackson Maine, discovers Ally and sees her real potential. Now, Gaga has the title of the song, along with a giant rose, tattooed on her back, reaching up her entire spine and neck in a thin, simple black outline. The tattoo saga didn’t end there, however. Adding another, smaller tattoo at the same time, Gaga got the musical notes G-A-G-A drawn on a musical stave on her right forearm. Spot it? No neither did I, but then again it’s been a while since I played recorder in primary school. Many music-minded fans did see the mistake though, and kindly pointed out to Gaga – herself a musician who actually studied music theory at NYU Tisch School of the Arts – that music staves are made up of five lines not four. Thankfully, it didn’t take much to correct the tat, and Gaga just had to add another line (unlike some disaster stories or, more recently, Ariana Grande’s questionable tattoo). Earlier this month, Gaga appeared at the Grammy Awards, where the song Shallow, from A Star Is Born, won Best Pop Duo/Group Performance and Best Song Written for Visual Media. 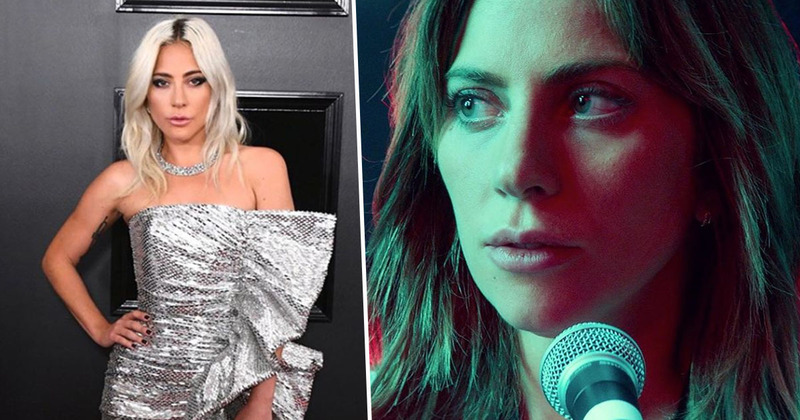 Meanwhile, it’s also been confirmed that Bradley Cooper and Lady Gaga will appear at this year’s Oscars to perform Shallow, which has been nominated for Best Song.